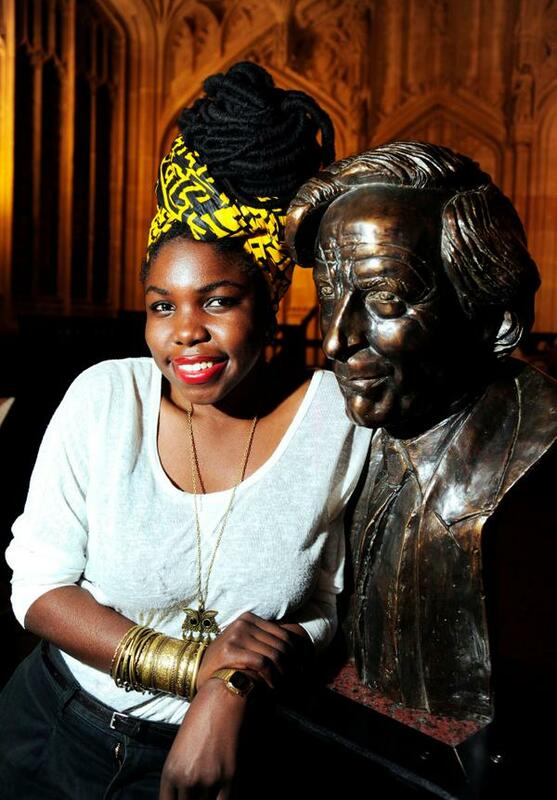 The Caine Prize 2014 winner has just been announced in London and the winner this year is Kenyan writer Okwiri Oduor. She becomes the third Kenyan winner of the prize after Binyanvanga Wainaina in 2002 and Yvonne Adhiambo Owuor on 2003. The ceremony with several speeches started with a minute of silence for the just deceased Nobel Prize winner Nadine Gordimer at the beginning of Jonathan Taylor’s speech. This was followed by Baroness Nicholson who thanked the 2014 judges led by chair Jackie Kay and previous Caine Prize winner Helon Habila. She mourned the passing of Caine Prize patron, Gordimer. Baroness Nicholson thanked Lizzy Attree and her team at the Caine Prize secretariat. Next on stage was Booker Prize winner Ben Okri who was giving the keynote address with his theme being; “Freedom”. The #BringBackOurGirls campaign was on his mind and he stated that their fate hangs over us all. He also jocularly promised to give a shorter speech this year in response to a tweet posted last year on the length of his speech. He spoke about the importance of art on our lives. And the winner was announced by Jackie Kay. Okwiri Oduor! 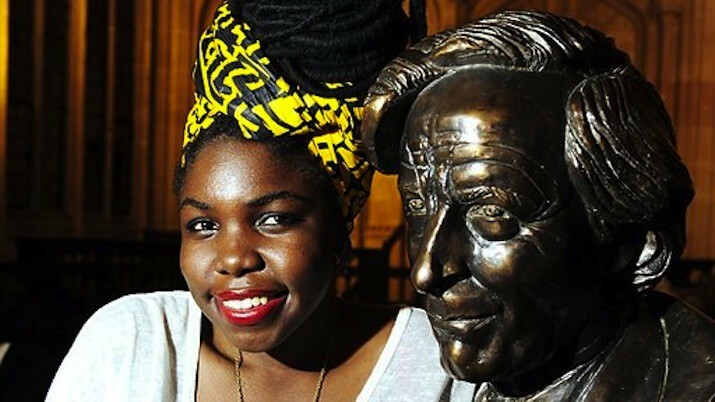 The Kenyan writer won the award for her story My Fathers Head. The story was also the winner of the Short Story Day Africa prize for 2013 and earlier this year, Okwiri made it on the Africa39 list of top 39 African writers under the age of 40. It’s nice for a Kenyan to win this year’s Caine Prize. When I first read the shortlist, I developed faith in Okwiri’s “My Father’s Head”; Billy Kahora’s “Gorrila’s Apprentice” coming second. Big big congrats, Okwiri Oduor. Keep the good stuff coming.